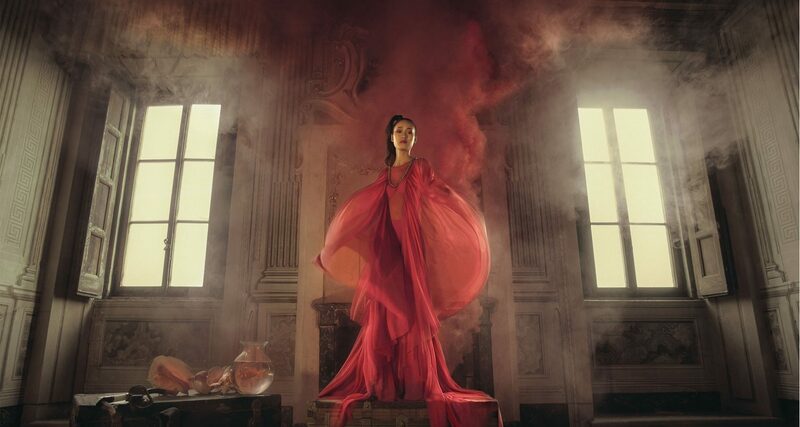 “I do a lot of work assisting British fashion photographer, Nick Knight. I’ve worked with him for the past five years. Nick recently asked me to assist him with a secret project, which turned out to be the royal portrait. It was part of the 90th birthday celebrations. We were welcomed into the Queen’s private quarters of Windsor castle to set up. The pressure was on as the entire royal family were waiting. It was a five minute shoot…that Nick managed in three minutes! That’s the precision of a royal schedule and that’s where experience counts. Nick is a truly talented artist who doesn’t rest until he has got the very best out of everyone he works with. At university, I began using my practical skills to build sets with a designer called Shona Heath. In my final year, I began working with fashion photographer Tim Walker and have remained a freelance member of his team since. I’ve just finished shooting two lookbooks for Tom Ford. I got the job based on my work and it was definitely a highlight. Most of the teams I work with are like a family. This is something that I find very special in a job oversaturated with people doing similar roles. Creating genuine relationships is really important to me. Assisting has been great for me and I still get called in to help a few people I’m loyal to, as and when I’m required. I find I have much more of a balance between assisting and shooting my own work now though. You can follow James on Instagram here: @stopforthstudio.